This is Giovanni Barberis Organista, tailor to the Vitale Barberis Canonico family. The two families are only distantly related (the last two names are both surnames, indicating a split at some point). More importantly, Giovanni’s family have made suits for the VBC family for three generations. Giovanni has been working as a tailor since 1955. His grandfather started the tradition when he became a tailor in 1875. “It’s wonderful to that living memory, to have worked with someone who made suits in the 19th century,” he says. Today, Giovanni is semi-retired, making around three suits a week with his wife for help. He trained in Turin, though he says he “should have gone to Savile Row 60 years ago to train with the best, as they were then”. Giovanni has a collection of old artifacts, including the canvas you can see below, which dates from the end of the 19thcentury. It was for a morning coat – it slims down noticeably towards the bottom. As ever with artifacts like this, the diminutive size is striking. Giovanni also has a great collection of magazines going back to 1913. 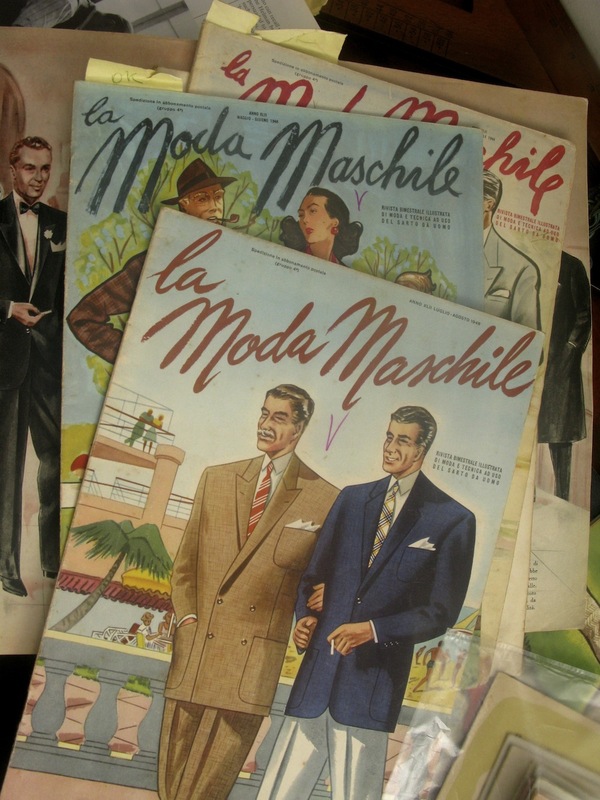 Below you can see some of his collection of ‘Le Stile Maschile’, an old Italian series. More on those at a later date. 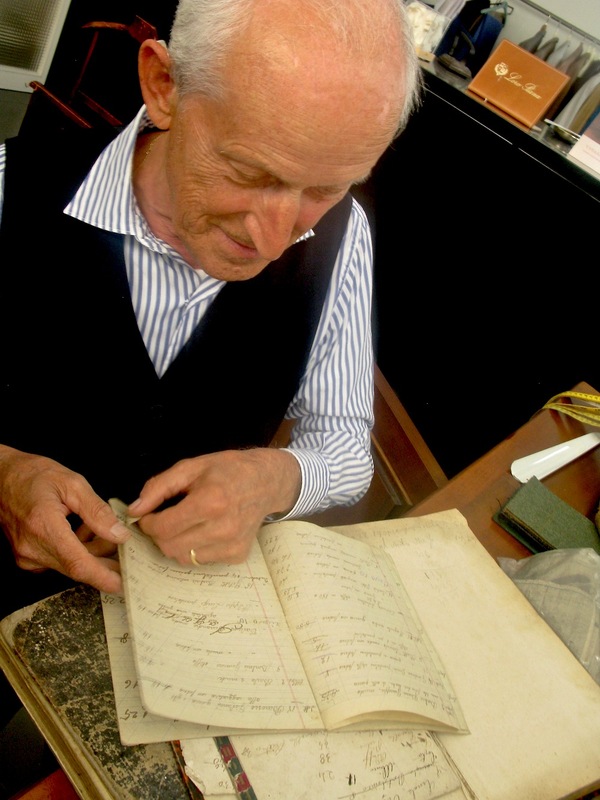 Read more about Vitale Barberis Canonico here. You can follow the discussion on Giovanni Barberis Organista by entering your email address in the box below. You will then receive an email every time a new comment is added. These will also contain a link to a page where you can stop the alerts, and remove all of your related data from the site. A good read SImon, in relation to your comment “the diminutive size is striking.” is that a more general comment on the weight/height of 19th century males? Yes. It’s tiny – as indeed is Giovanni! Naturally. Italian men of the previous generations were all small. My grandfather was not over 5’6″. American nutrition did wonders. I’m 6′. Three suits a week seems like a *lot* of work, especially for a semi-reited man. 40 hours * 3 suits = 120 hours a week?! Much appreciated. Thank you, Simon.